Brilliant colors splashing across the trees; pulling the coat just a little tighter against the first hint of the chillier weather to come; cider and doughnuts; family, friends and fellow fans gathered together in the stands to cheer gridiron favorites. 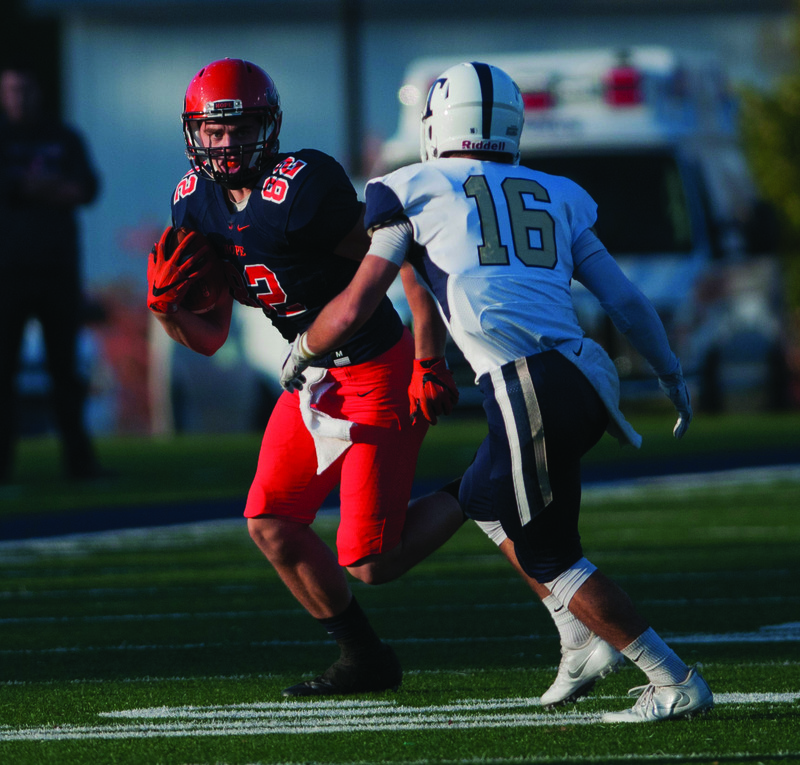 Wide receiver Jake Kozlowski of Lake Geneva, Wisconsin, carries the ball during the college’s Homecoming game on Saturday, Oct. 22, at Ray and Sue Smith Stadium. The play was part of a convincing 31-7 win against Trine University and successful 7-3 debut season for first-year head coach Peter Stuursma ’93.